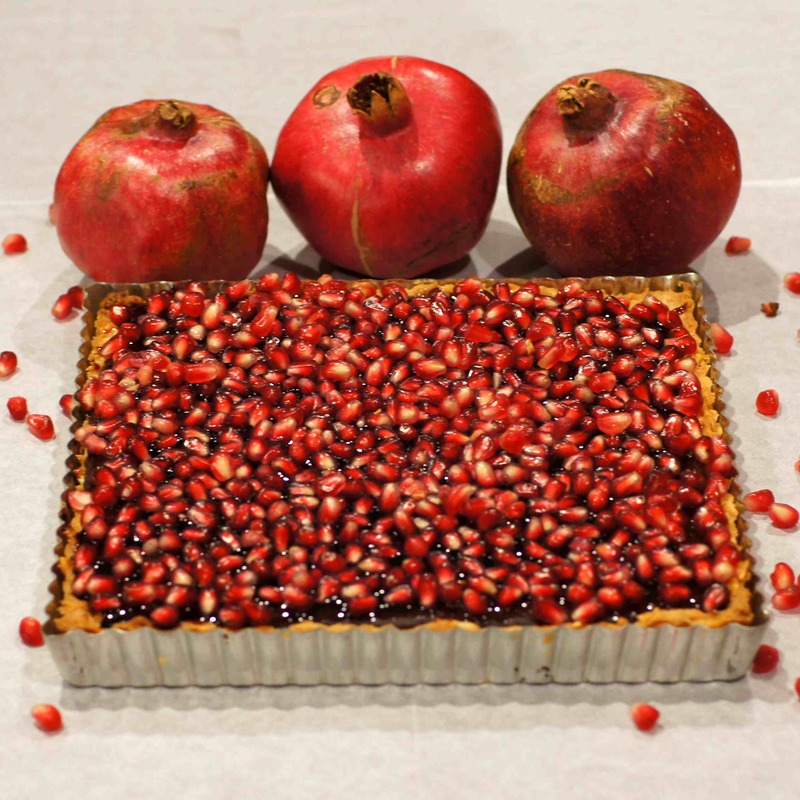 We are so enjoying the bounty of our fall pomegranate harvest and dessert is another fabulous way to use them. There really isn’t much of a story behind this posts as it comes from The Pastry Affair. 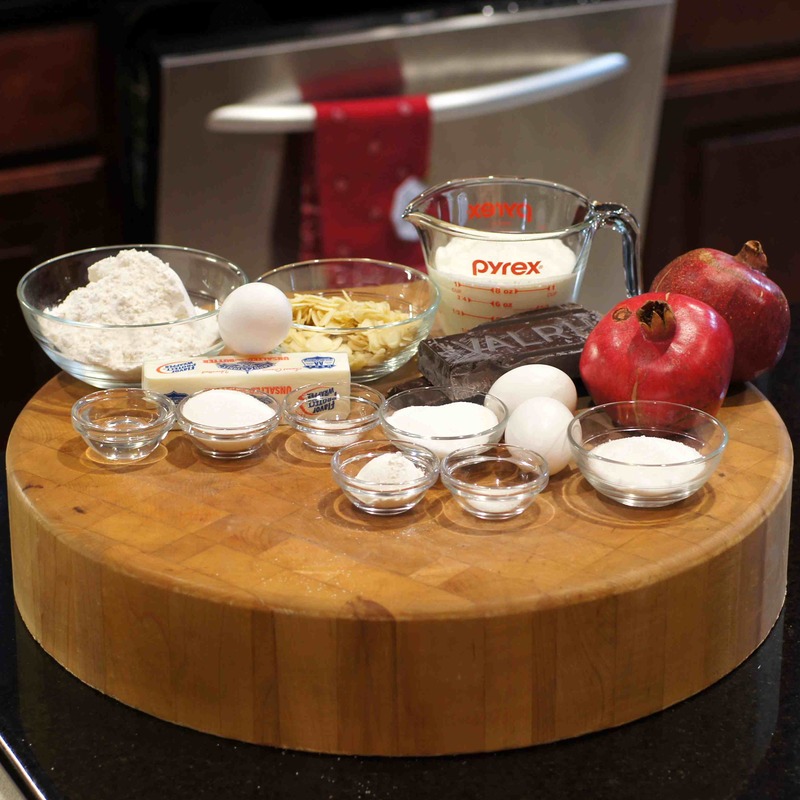 I found the recipe on Pinterest sometime last winter after we had eaten the few pomegranates we were able to harvest. I knew when I saw it I wanted to give it a try and set it aside waiting for this fall’s pomegranate harvest hoping we would have enough. Boy have we. 🙂 So, once we began to harvest these fiery, little red gems, I had to make this tart. I finally got the opportunity this past Sunday and I’m sure glad I made it. Although my technique is a little different, we get to the same place, i.e. 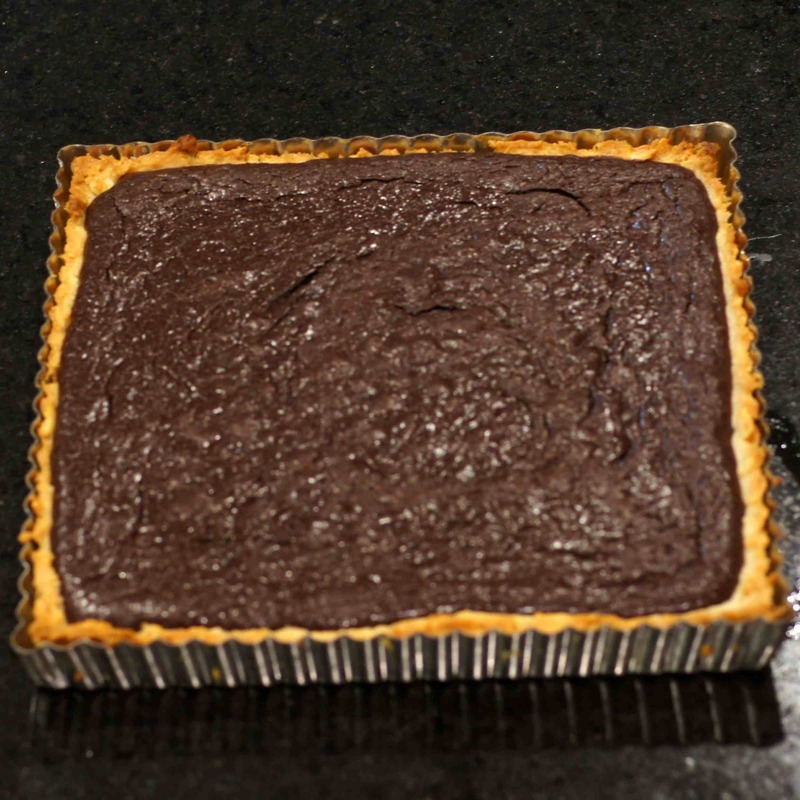 a wonderfully decadent tart. 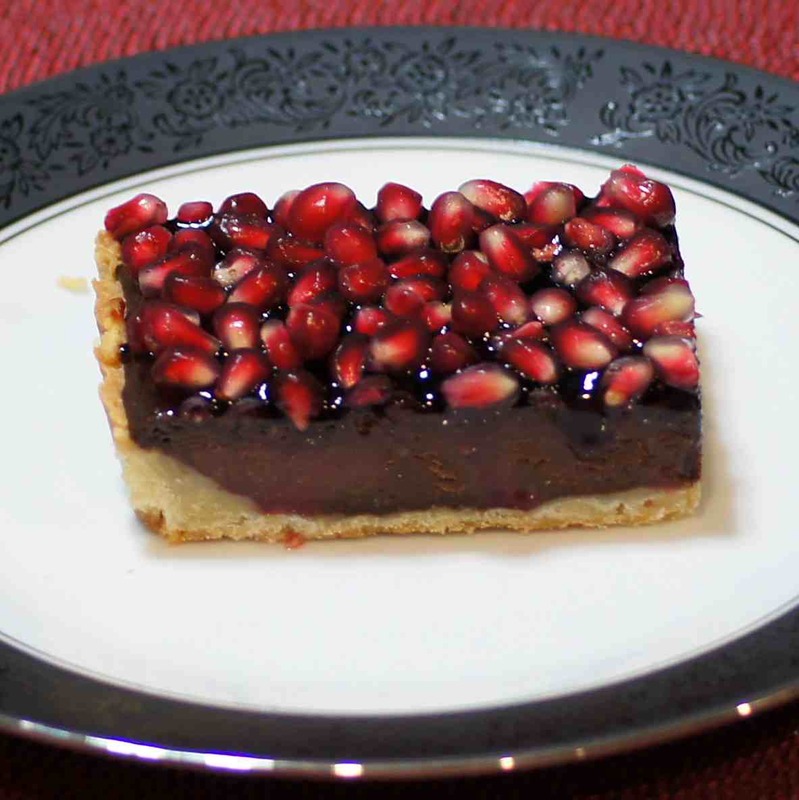 The almond crust beautifully compliments the rich, deep, chocolate flavored filling which is brightened up by the pomegranate glaze and arils that sit atop the tart like little rubies sparkling in the sun. This is a dessert that is fit for a King but one you will want to enjoy all by yourself or in my case, with the Baby Lady. It is sinfully delicious, hard to share and well worth your time and effort to make while you can buy pomegranates at the market. It won’t disappoint and, like me, you will be glad you made it. Guaranteed, if you can bring yourself to share this with company they will ooh and ahhh over this both when they look at it and while they are eating it. Because we’re not sharing you need to make your own; so, this is what we did. 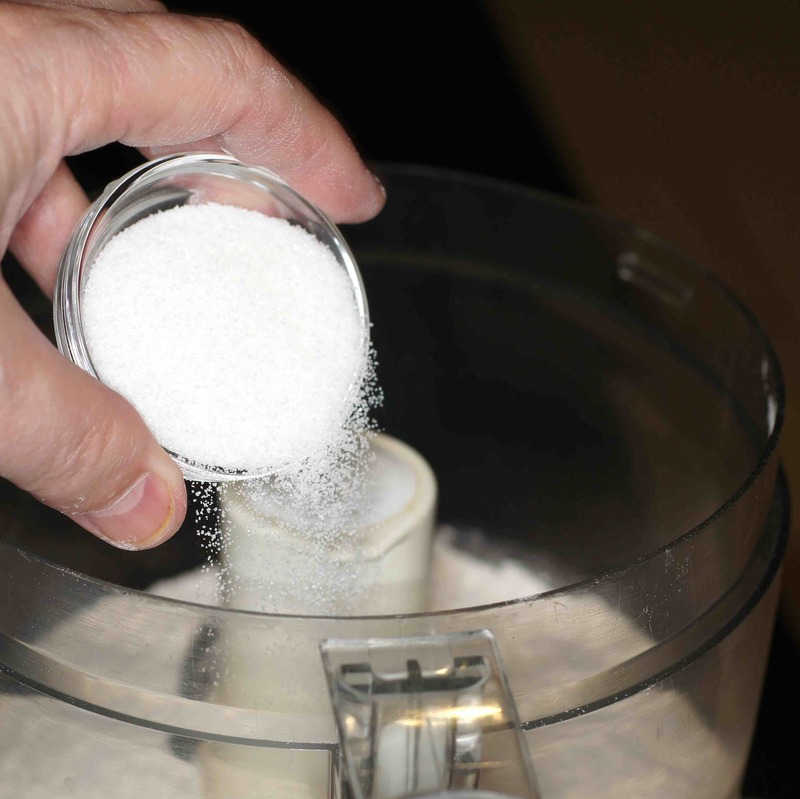 Process until the dough resembles coarse sand. 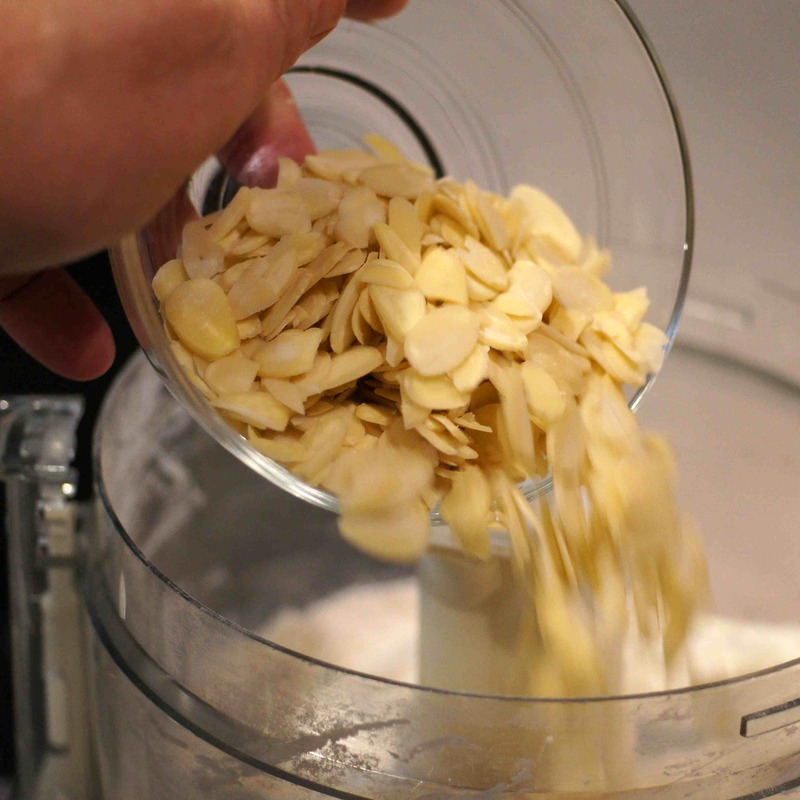 Then add the sliced almonds. 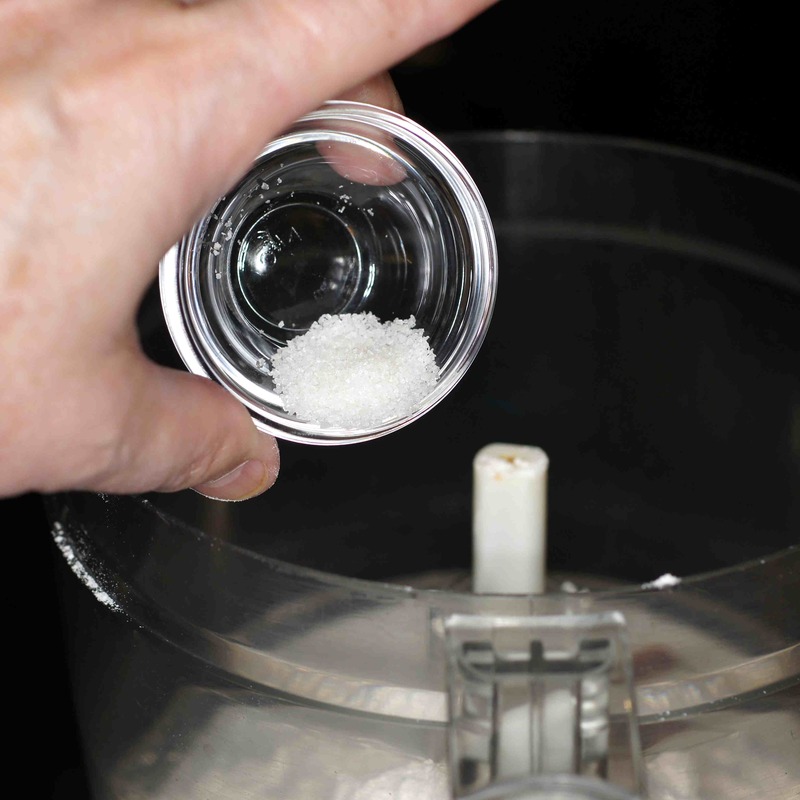 Pulse the mixture because you want pieces of almond for texture as well as flavor. 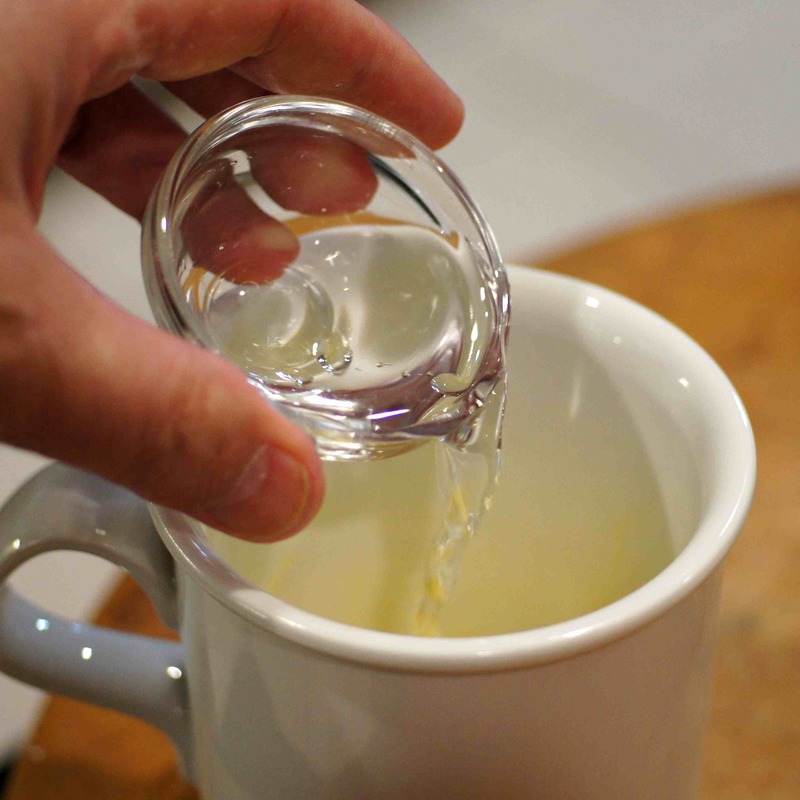 Now, add the ice water to the cold egg and beat lightly. 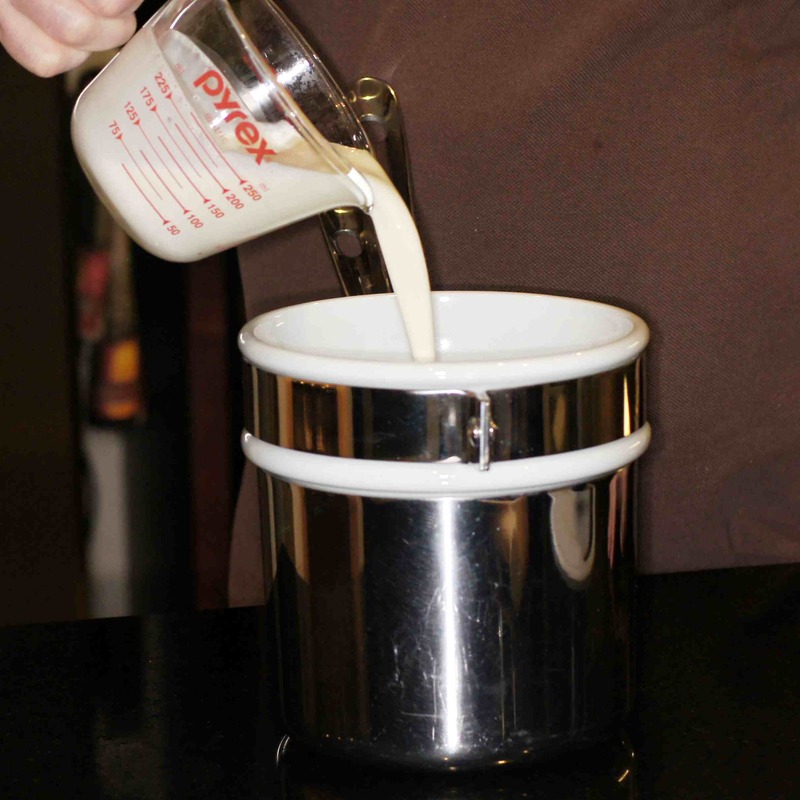 and heavy cream to a double boiler. 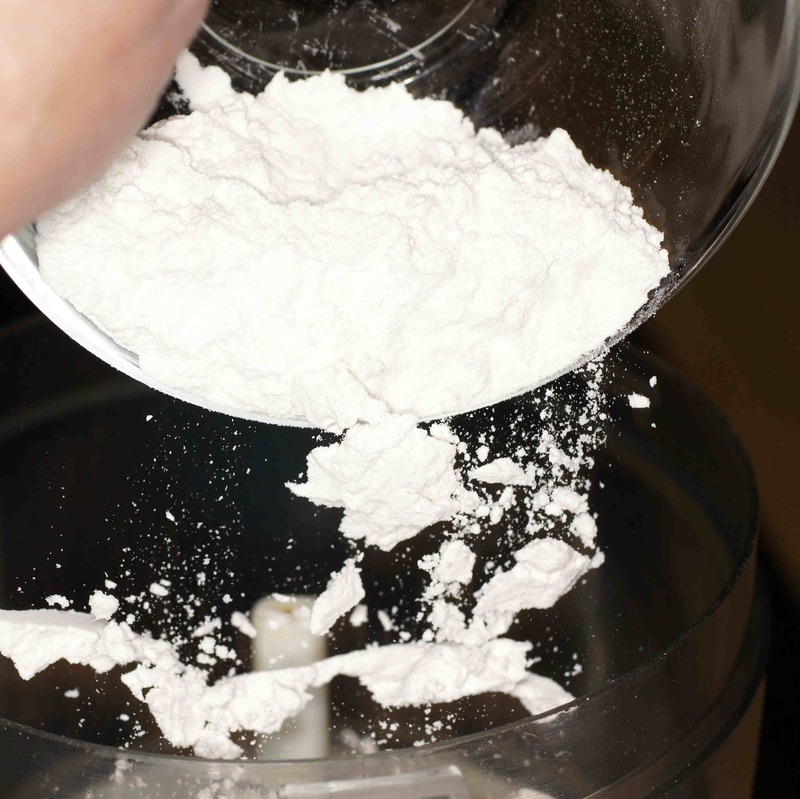 flour, and salt into a small mixing bowl or cup. 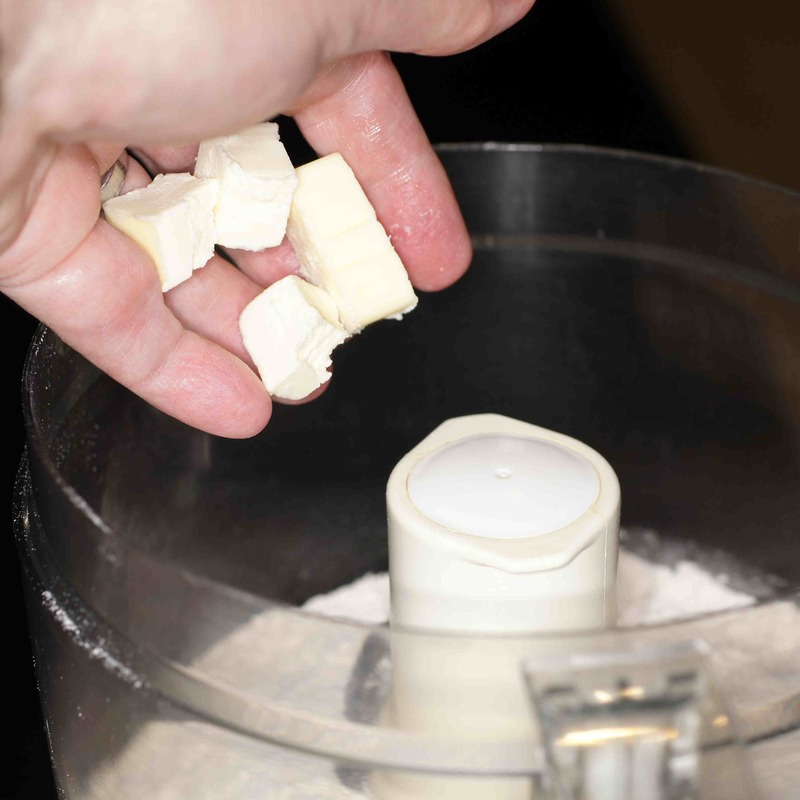 Add to the chocolate cream mix and stir to incorporate. 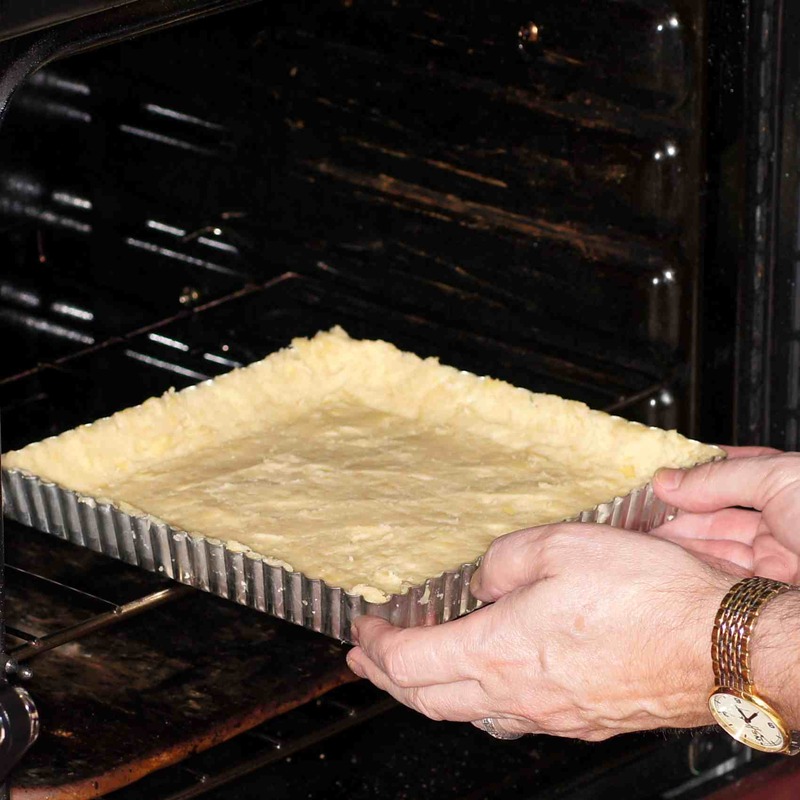 Place back into the oven and bake for an additional 30 minutes. 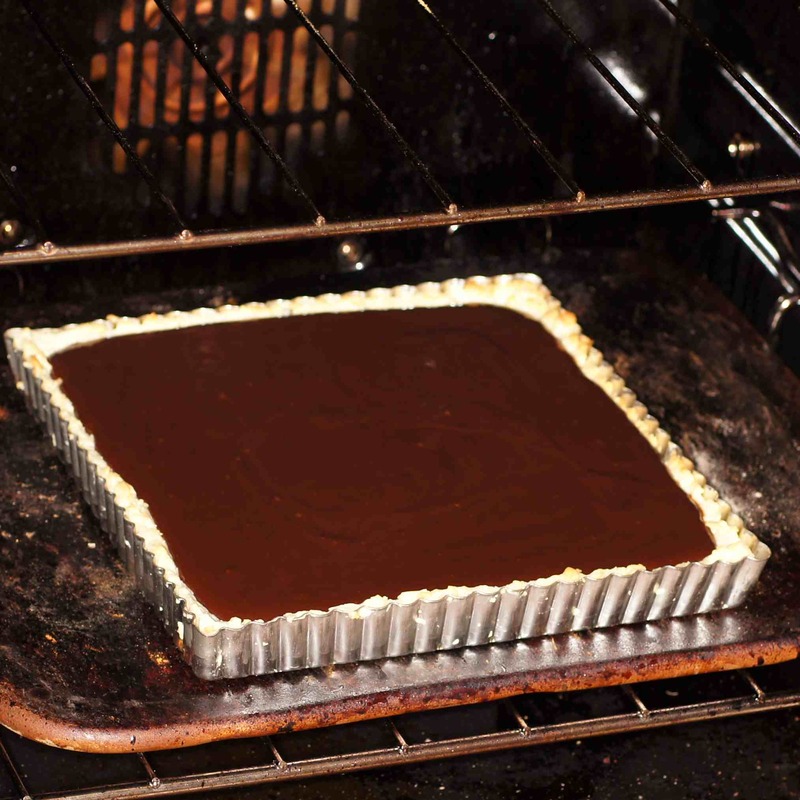 After 30 minutes remove from oven and allow to cool fully. 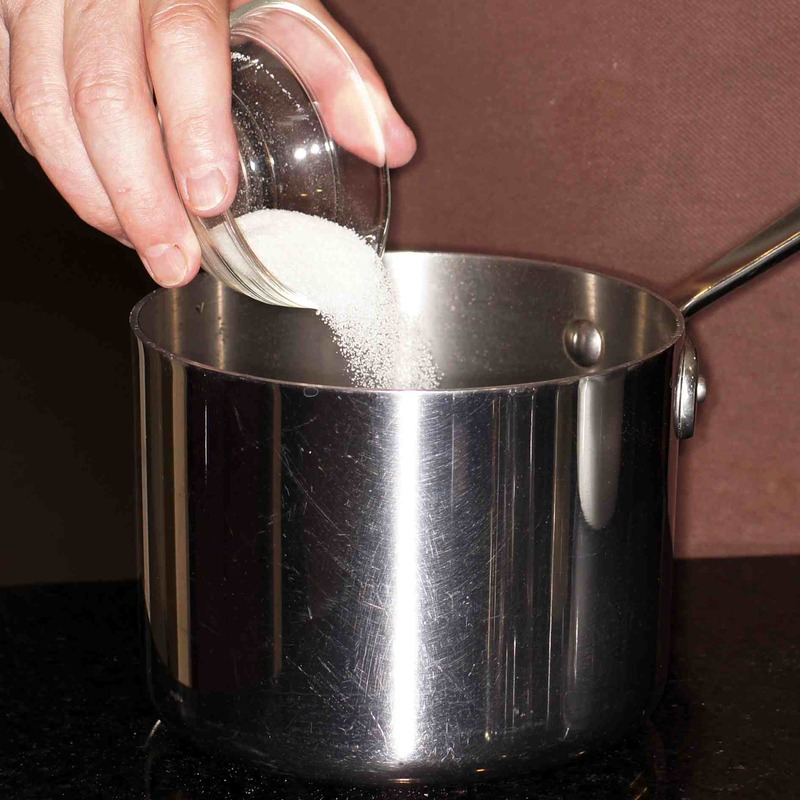 and sugar to a medium sauce pot. 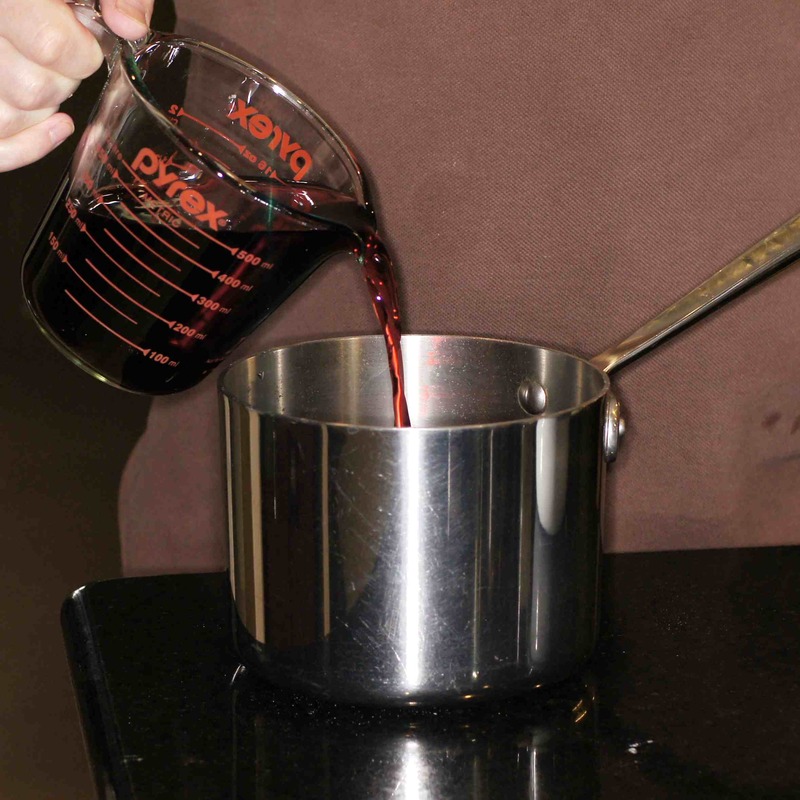 Bring to a boil, reduce to a rapid simmer and reduce the liquid until you have 1/2 cup remaining. 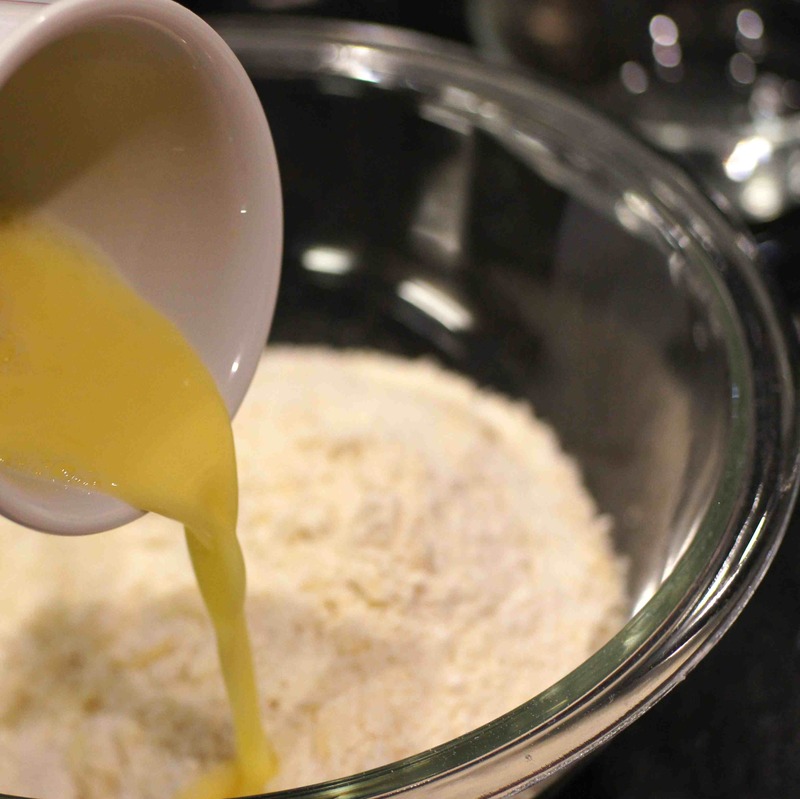 It will be a very thick, viscous glaze. Allow it to cool. 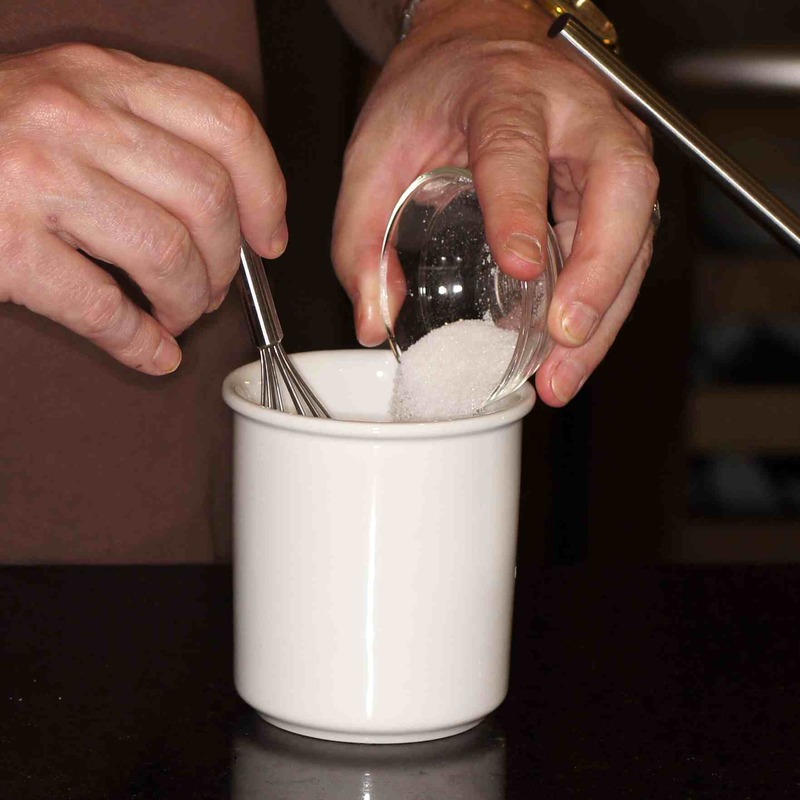 Sprinkle arils over the top and refrigerate. Place on a plate and enjoy! 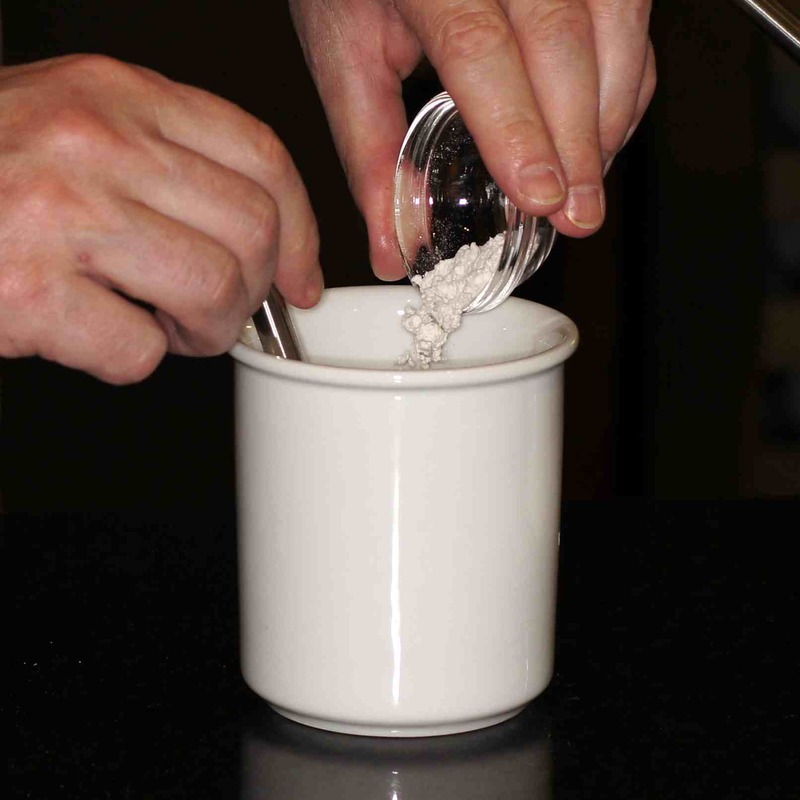 You can serve with whipped cream if you wish but we liked it fine, as-is. 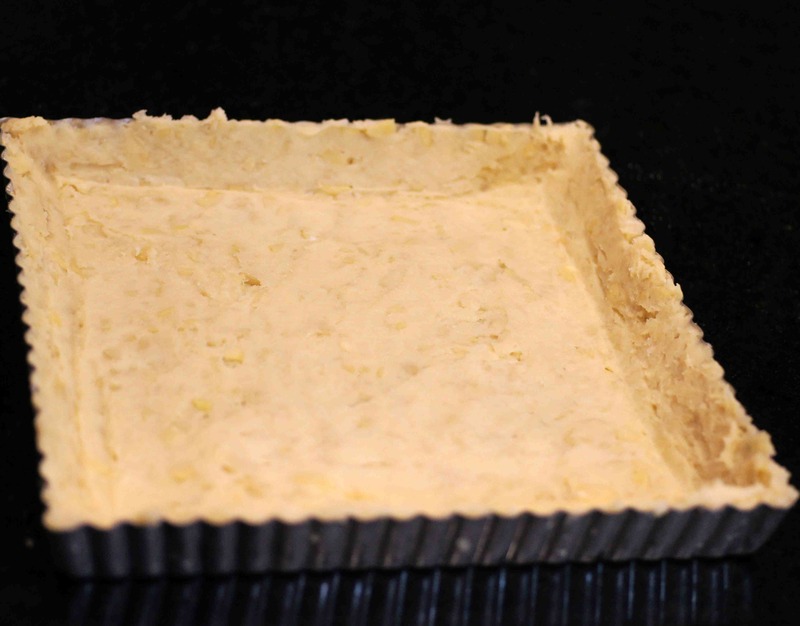 NOTES * the ingredient list is for a 9 x 9 square tart pan or a 10 inch round tart pan. Thanks, Stefan. The crust is very flavorful although it’s not a flaky crust but is more crumbly. 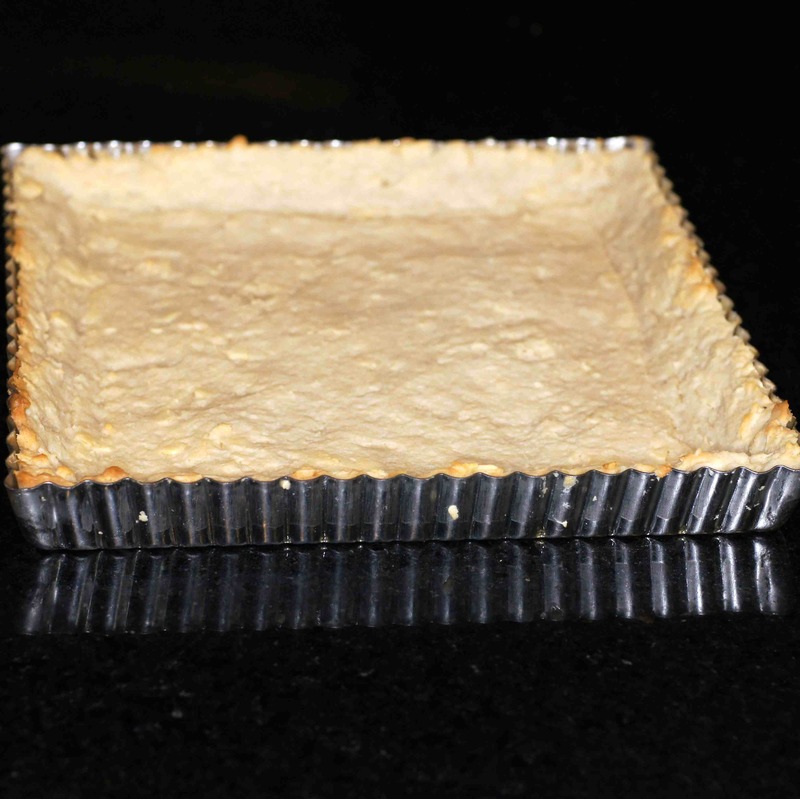 The flavors of the tart go together so well but it is exceptionally rich. A little sliver is enough for most people. I hope Marjolein likes it. I actually thought about putting some ancho chile powder or paste in the chocolate filling. It would add depth and another layer of flavor. Because this was my first time to make this recipe I felt it more prudent to try it the way it was and modify it on the second attempt. 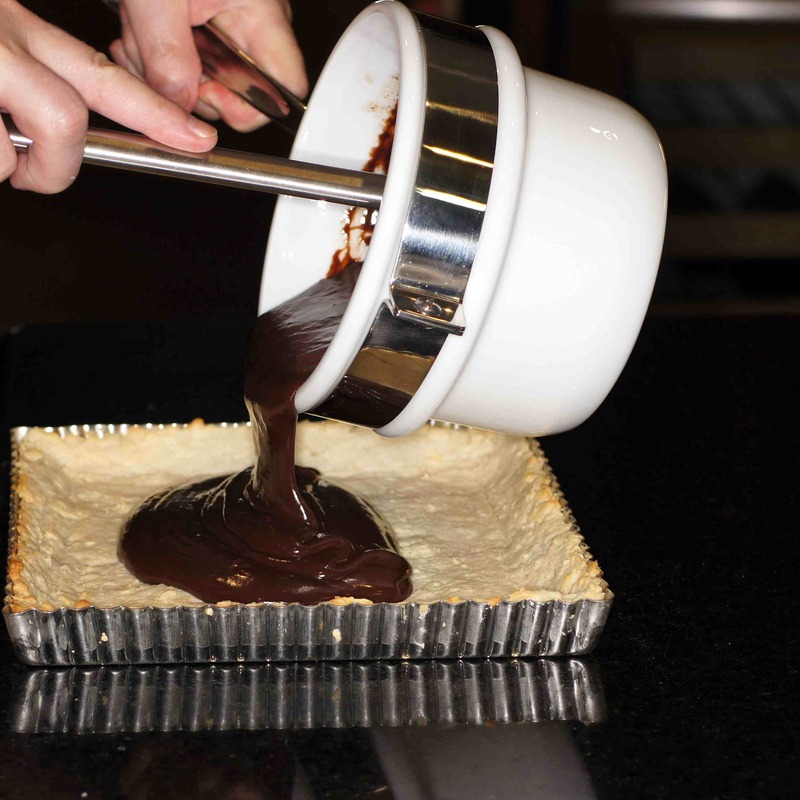 I may also modify the crust to a hazelnut crust which would go well with the chocolate, too. Just made it and served it for Christmas dinner last night 🙂 It was delicious! I think it will be even better with only half the chocolate filling. Your pomegranite tree must be producing a fine crop! Thanks, Sharon. We were blessed with a very abundant crop this year. That really does look decadent and beautiful. I love the little pomegranate jewels on the top. I can imagine how rich and creamy that chocolate filling is. Just beautiful. You’ve outdone yourselves, Richard! This is some dessert! Love an almond-flavored anything but here, in the crust, it would compliment the chocolate so well and the aroma of both must be so enticing. Add the pomegranate and this is one impressive dish to set before guests! Thanks, John. It really is a wonderful dessert although I must admit I had a slice for breakfast this morning. 😀 Like I said, it’s sinfully delicious. 😉 You should try this as it isn’t very difficult to make. It just takes a little time. Bah, slip of the hand. However, I got introduced to dark chocolate covered pomegranate seeds earlier this year that came from Costco. Oh my gosh, they were heavenly. I can see this tart would be Over the Top! Kudos! What a jewel of a dessert. 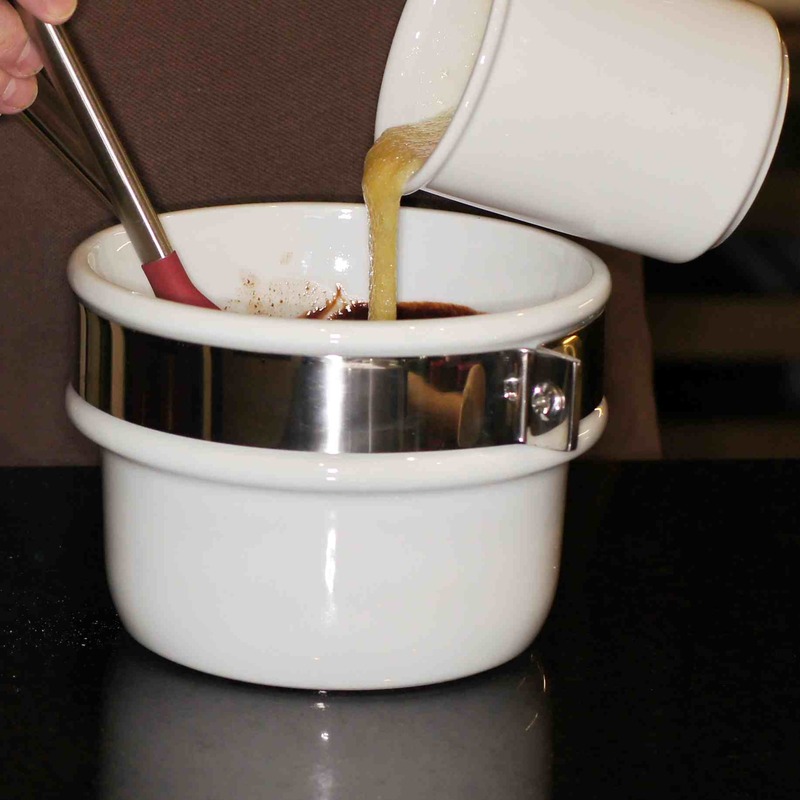 It would be perfect to serve during the Christmas holidays. Richard, I agree with you. 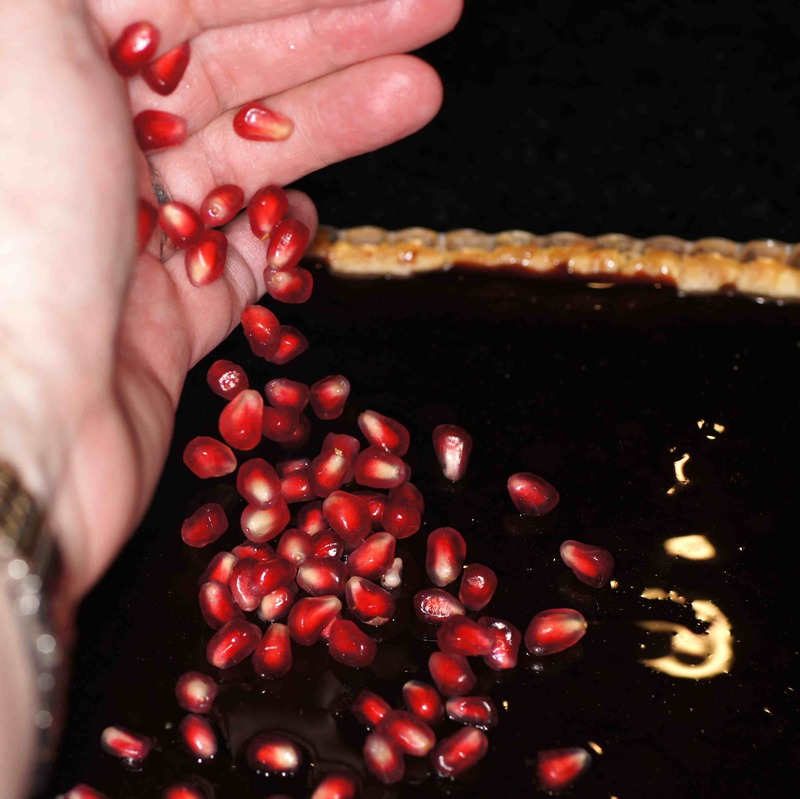 Chocolate and pomegranate is a natural pairing and so delicious, Your tart came out perfect. Bravo! Hi Sheryl. Thanks for your very nice compliment. Coming from you it means a lot. Your desserts are always picture perfect and make my mouth water. this looks and sounds delicious! I love chocolate desserts pair with fruit. Did you make the juice from your pomegranates? Hi, Andreea. Thanks for the nice compliment. 🙂 I didn’t use the fresh pomegranates for the juice but used POM instead. It takes a lot of pomegranates (6 – 8) to get 2 cups of juice. After the pilfering neighbor appeared again, however, we took all of the fruit off the tree and made Pomegranate Molasses with some of them. 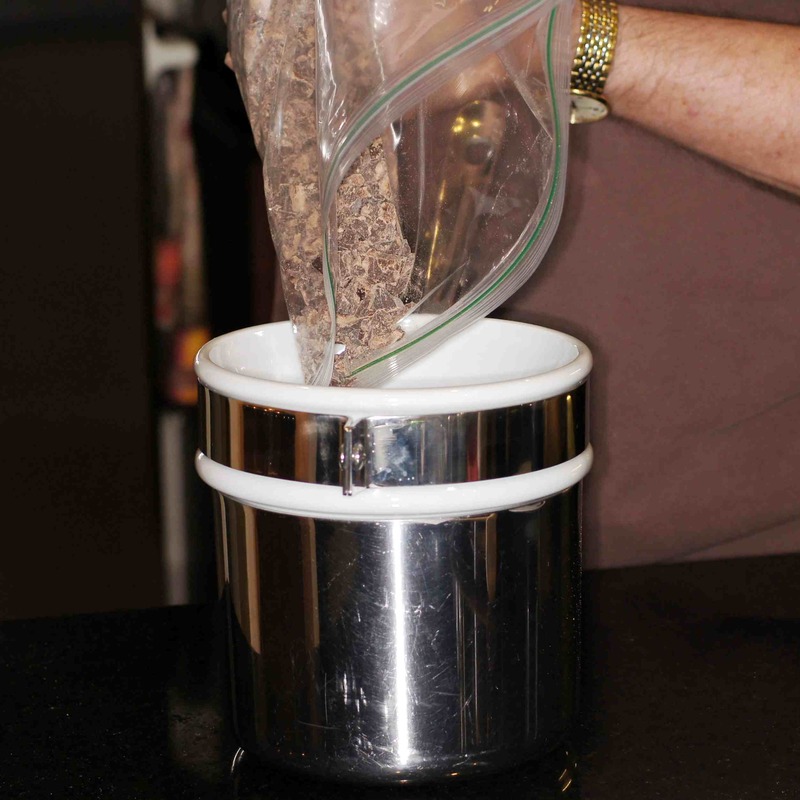 We now have 4 lbs of arils. 🙂 Of course, we now need to make things with them. Got any suggestions??? I must say it looks very delicious…If only I could have a slice. Best wishes! Hi, Meggie. 🙂 Thanks for the very nice compliment. The pouring shots are a lot of fun and the tart tastes better than it looks. If you can get some pomegranates in Sweeden, you definitely need to give this a try. Richard, I find I need to complain. 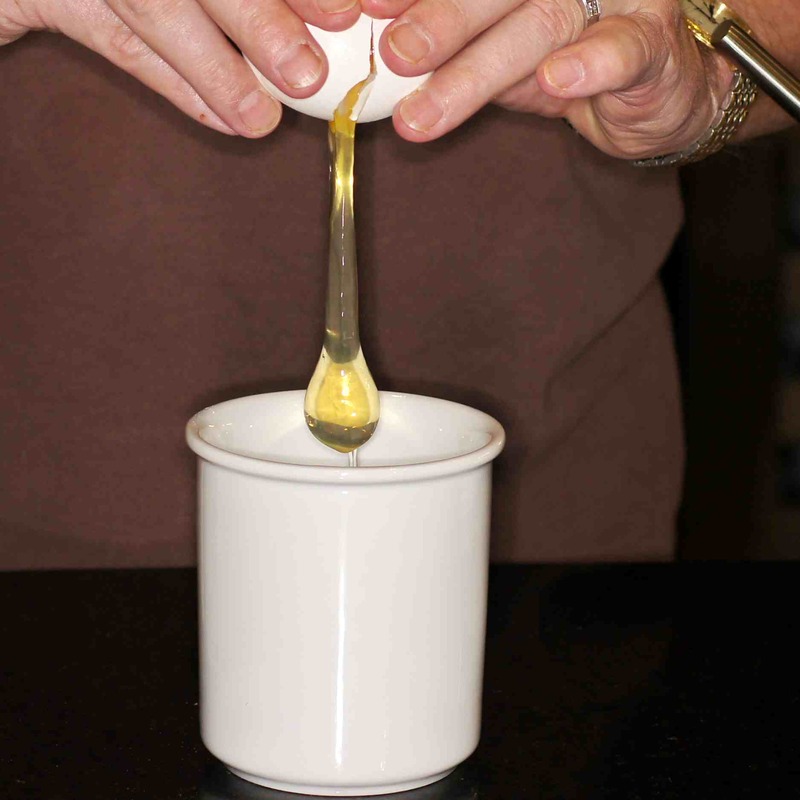 No, it’s not the numerous and excellent pouring shots (particularly the egg). It’s the whole concept. I LOVE it but I am trying to get my sweet tooth under control as it is causing me some difficulties in the gym and out on the bike. This is not making things easy. Beautiful presentation and I imagine, delicious to boot. It would not have made more than a day here. We are all agreed. 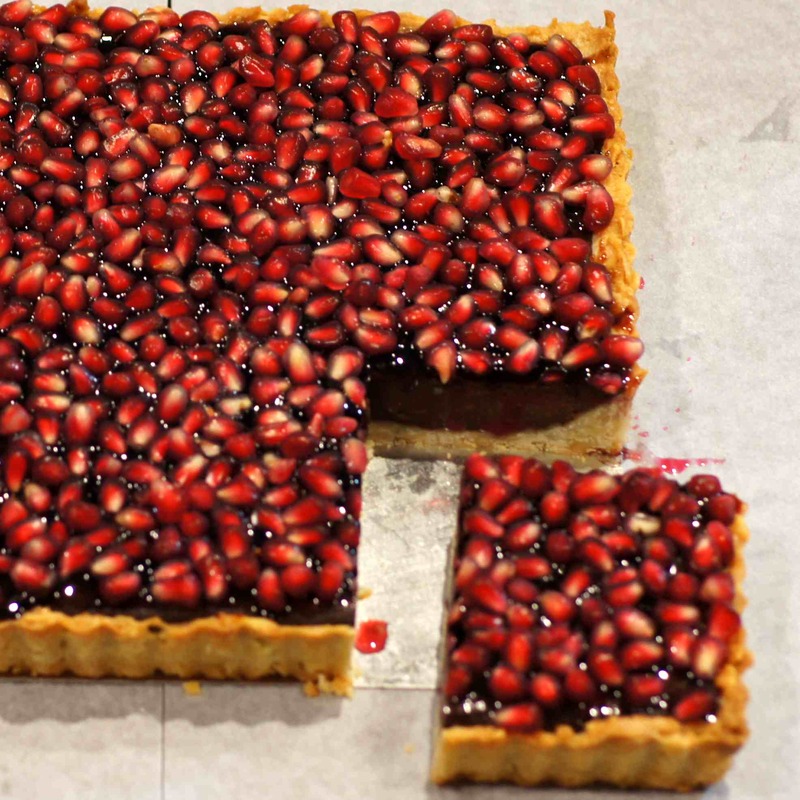 Delicious tart and beautiful gems of pomenganate. 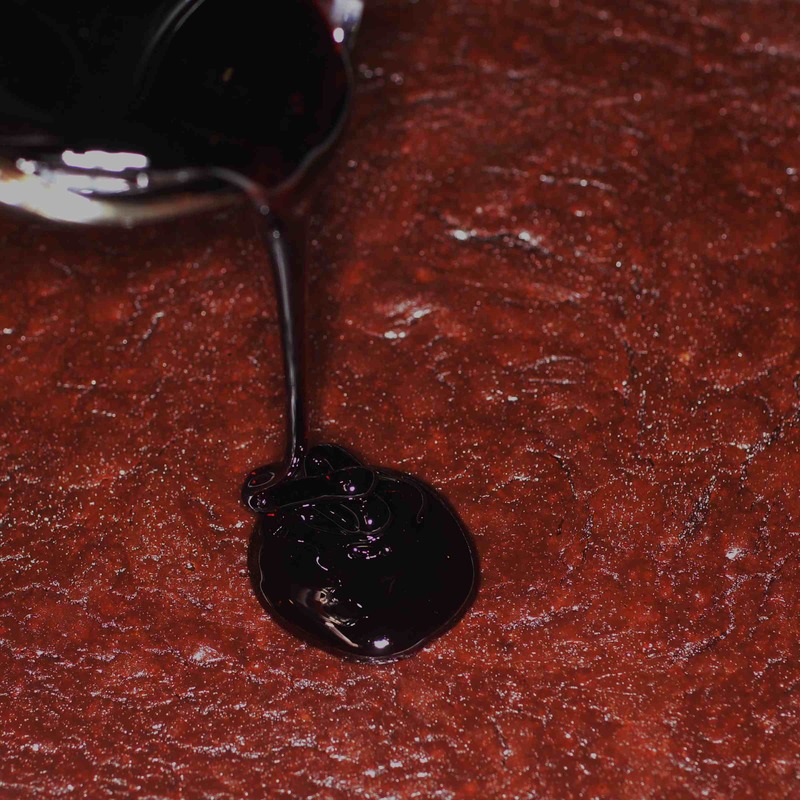 I love how they look like ruby flecks amongst the sultry layer of chocolate! In fact, it’s one of the loveliest things to enjoy when season fruit is really prolific. Hope you and Baby Lady are enjoying the change of seasons! Hi, Alice. Sorry I missed your comment. The change of seasons was very interesting this year. We had a major ice storm in early December that shut DFW down for 4 days and gave us freezing temps for 8 days. Inasmuch as we hardly ever have serious winter weather, we don’t have much in the way of snow moving equipment. So, when we do get ice and snow it can be very crippling. Hope all is well down under and that you had a wonderful Holiday Season. Likewise Richard! I often dream of snow but (not the chaos) that often comes with it. I’ve loved all the delicious snaps of your holiday feasting on Facebook. Being in 23-38C we often enjoy the ole Aussie BBQ at this time of the season. Enjoy nonetheless!